Hier finden Sie jederzeit aktuelle Angebote. Smart smart fortwo cabrio 80kW Brabus XClusive Autom. Mazda CX-5 Sportsline Autom Leder Navigation Sitzhzg. Smart smart forfour 66 kW turbo Styling/Klima/Sitzhzg. Smart fortwo coupé passion 52kW twinamic Navi,Sitzhzg. Suzuki Swift 5-Türer 1.2 DUALJET Club 5-Gang-Schaltg. Smart fortwo cabrio 62kW Passion/Autom./Klima/Sitzhzg. Smart smart fortwo coupé 52 kW Styling/Klima/BC/eFH. Smart smart fortwo 52KW *DSG/Klima/Audio uvm. * Autom. 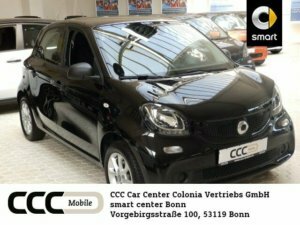 Smart forfour 52kW Cool & Audio Autom./Klima/BC/eFH. Smart fortwo cabrio mhd 52 kw *AKTIONSFAHRZEUG* Autom. Smart forfour 52kW +PASSION+COOL&AUDIO+ Klima/BC/eFH. Smart smart fortwo coupé 52 kW Styling/Klima/Sitzhzg. Smart smart fortwo coupé 52kW Styling/Klima/BC/eFH. Smart smart forfour 52 kW Styling/MF-Lenkrad/BC/eFH.